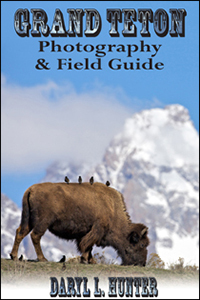 Jackson Hole Adventure Rentals • (Jackson) In summertime use our one or two person ATV's to access hundreds of miles of trails, giving you a doorway into parts of the wild the every day tourist will never see. As we launch into winter, discover snowmobile trails that are world famous for breathtaking views, diverse wildlife and pleasant surprises like Granite Hot Springs. Island Park Polaris • (Island Park) Located in beautiful Island Park, Idaho, our facility is a full service Polaris star dealer. 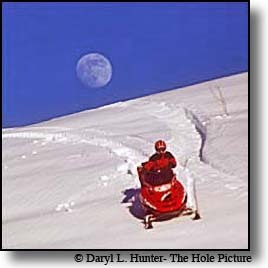 We specialize in snowmobile sales, service, rentals and guided tours. We have rental clothing to dress you from head to toe and our guided tours are designed for novice riders to expert. Tours are given by professional riders through Targhee and Caribou National Forests. Back Country Snowmobile Adventures • (West Yellowstone) Back Country offers high quality snowmobile rentals at affordable rates. Available for daily and weekly adventures. 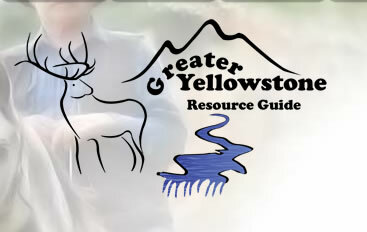 Tour guides are available if you would like to see Yellowstone from a native's perspective. We also provide accommodation packages making it affordable and easy to see the amazing wonders of Yellowstone National Park. Whether you're a die hard rider, or a beginner, your guaranteed to have a great time. Jack Dennis Sports • (Jackson) Rent the latest demo skis! Two convenient locations-one near the Tram dock-at the Jackson Hole Ski Area. Complete specialty ski/snowboard shops with the latest demo gear. Lone Mountain Sports • (Big Sky) Lone Mountain Sports is a dedicated alpine ski shop located directly at the base of Big Sky's slopes in the Arrowhead Mall. Committed to making skiing as fun as possible, we offer the widest variety of alpine gear and the most experienced staff in Big Sky. During the ski season we are open 7 days a week for all of your retail and rental needs. Please contact us for more info or click here to make a rental reservation. 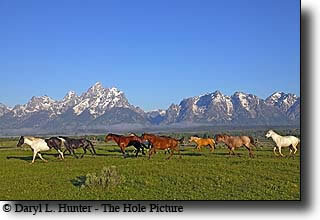 Leisure Sports • (Jackson Hole) We have what it takes to complete your Jackson Hole experience. Whether you want to ride it, pack it, or sleep under it! Leisure Sports, located at 1075 S. Hwy 89, rents all kinds of fun. From Rafts to Rowing Frames and Sea-Doos to sleeping bags. Call us - Leisure Sports - We rent fun! Rendezvous River Sports and Jackson Hole Kayak School • (Jackson Hole) Whether you are young or old, it’s your first time or you’re a veteran paddler our experienced instructors and knowledgeable sales staff will help maximize your fun on the water.Jackson Hole offers a full spectrum of kayaking opportunities. From the tranquil waters of Shoshone Lake to the crashing waves of Snake River Canyon, we have a course or tour for you.